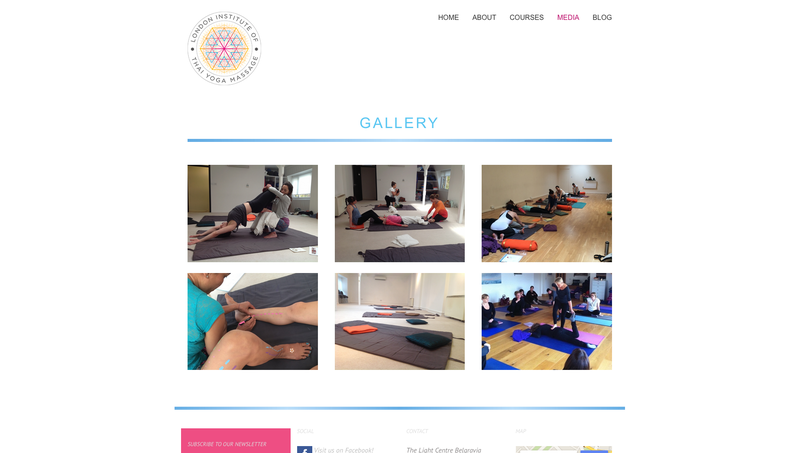 Founded by Natasha de Grunwald, The London Institute of Thai Yoga Massage, came to Collective looking for a new website to show their full range of courses and expertise. For the website design, our client wanted to keep things simple with an uncluttered and contemporary style that would also incorporate some elements of the existing logo. We incorporated a subtle colour scheme through use of dividers and menu highlighting against a minimalist white background to create a confident yet clean style. 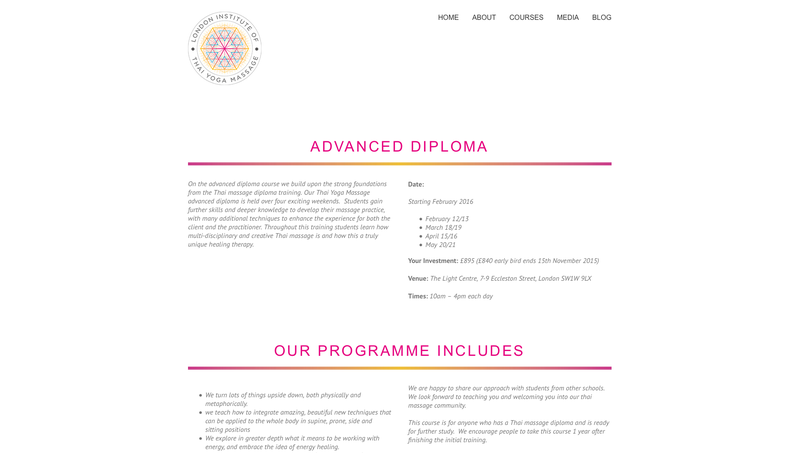 The site structure was created based on the information and copy provided by the client, with about pages providing information on the teachers and approach of the school, individual course pages, a media section for video, press, events and gallery pages, as well as a link through to an already established company blog. The website was created in WordPress so that the content on each page would be easily editable, making it convenient for the client to make any future changes necessary to course content and other details. As part of this brief, we also proofread, edited and updated the content to provide more focused copy, that would be both user and search-engine friendly. We optimised images and other content to give the site a good foundation to build its web presence on. Our client was extremely happy with the result, especially as we were able to start and finish the project within an extremely tight deadline, and just in time for their exhibition at an upcoming event.